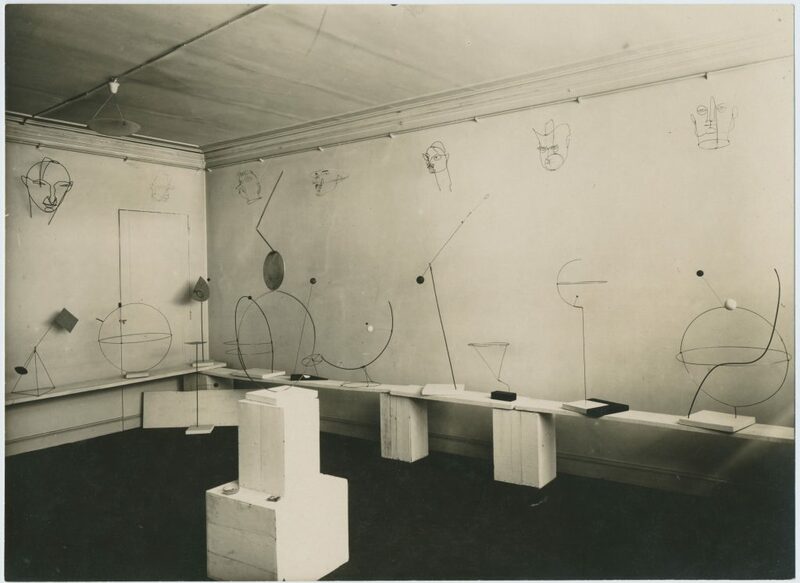 “Calder: The Conquest of Time”, The Early Years: 1898-1940, by Jed Perl. The American sculptor Alexander Calder has two claims to fame: in the first half of his career he invented the “mobile”, so-named by his Parisian friend Marcel Duchamp in 1931, though the term originally referred to Calder’s motor-driven assemblages rather than the arrangement of hanging shapes now a familiar sight in every nursery; and in later career he pioneered the placement of large-scale abstract sculptures in the public arena, mostly “stabiles”, a term coined by another friend, Jean Arp, perhaps in rather ironic riposte. Jed Perl’s new book, the somewhat hubristically titled “Calder: The Conquest of Time”, deals with the former period, up to 1940. The second volume, we are led to believe, is out in a couple of years and is to be called “The Conquest of Space”. Onward and upward! There is a big push on at the moment to heighten the reputation and profile of Calder, to move him up from blue-chip to gilt-edged status, and it’s all emanating from the artist’s Foundation in the US, headed up by the artist’s grandson and rather rakish President, Alexander S. C. Rower. Linked to this is the release of Jed Perl’s part 1 biography. The Tate showed his work last year, the Whitney this year. Rower and Perl, an odd couple, are out and about, talking at various venues, promoting the book. And Calder is, according to the PR, now “America’s Most Beloved Sculptor”. Wow; a sculptor, “beloved”! Maybe it has a different nuance in the states. Do we have a “beloved” UK sculptor? Certainly Caro wasn’t, nor even Henry Moore. Gormley? Yes, perhaps Gormley. But even he divides opinion, and I can’t imagine anyone ever hating the work of Calder in quite the same way that many – myself included – hate Gormley’s, whose Crosby Beach figures I’d be happy to stamp upon until ten feet below the tide. By contrast, Calder ticks the minimalist/modernist design boxes that people these days are hooked into (and that even I am occasionally partial to, design-wise if not art-wise), so it’s hard to imagine anything from this artist that would fail to please or amuse, never mind cause actual offence (perhaps some of the later, monster-sized plaza sculptures?). And it’s ever so easy to be charmed by some of the little mobiles and stabiles: https://twitter.com/calderfdn/status/911336348237406209. I enjoyed last year’s Tate Modern show – http://www.tate.org.uk/whats-on/tate-modern/exhibition/alexander-calder-performing-sculpture . The exhibition piqued my interest in Calder, who until then had not featured much in my thinking. But on a second visit, I did feel I’d rather “bottomed out”. I was disappointed by the restricted movement to almost all the mobiles, due to the way each element was joined to the next, which often meant the planar parts stayed pretty much in or about a single flat-ish configuration as the whole ensemble turned as one – hardly freedom of movement or the wholehearted conquest of three-dimensions (not to mention four). Though the mobiles, and much of Calder’s other art, are to some degree made by prior conception and design, there is sometimes great mitigation, bordering on magic, in Calder’s spontaneous and considerable lifelong abilities as a hands-on improviser and manipulator of material. This is an aspect of the Calder story that Perl deals with well, because he really “gets” it; the development from boyhood toy-making in a basement workshop of his own; clever model-making and jewellery for his family; the famous Cirque Calder model circus performances that established him on the Paris scene; all the way to the Roxbury studio he eventually built for himself in the late thirties back in America. This conspicuous dexterity, bordering on legerdemain in the Cirque, is one of the things that distinguishes Calder from an artist like Caro, whose eye – for better or worse – was forever detached from his hands, and whose hands were in any case often replaced by those of his assistants. Calder was incapable of such distancing tactics until later in life, when the massive scale of his public commissions outstripped his capacities for fabrication. Up to 1940 at least, it all came very much out of the artist’s own hands. The haptic physicality of Calder’s approach did occasionally look compelling in the Tate exhibition, in a rather lightweight manner. The ends of wires pressed against walls and floors in disconcertingly physical ways; things balanced unnervingly; materials were felt to be weighted and real; their manipulation felt inventive. One sculpture in particular, Tightrope from 1936, made me think very hard, as any sculptor might, about how literal gravitational forces might be subtly reconfigured as expressive sculptural ideas. This sculpture was a flash of brilliance. The detail in Perl’s book is amazing. You are pretty much a third of the way through before Calder even gets to art school. It’s a fascinating childhood, due in part to both his parents being practising artists (his father was the successful but peripatetic academic sculptor, Sterling Calder) who gave the young “Sandy” full reign to his imagination. But the telling of it gets a little bogged down in detailing all the incidents and circumstances that may – or may not – come to influence or hold significance in the artist’s later life. Calder, starting out with a certain laid-back happy-go-lucky charm and a penchant for flash dressing, grows up to be a bit of an all-round fine fellow who could make friends with just about everyone who was anyone, so long as they didn’t want to dragoon him into some cause or movement or other. He was independent minded, an attractive virtue, but it does seem to have made him in the end, and despite all his close friendships with Surrealists, Dadaists and sundry modernists, something of a one-off, an odd-ball, even. Perl works hard to make that independence count as significance. So Calder’s reputation in some quarters for triviality is something that Perl tries to counter. He eruditely establishes that the story of the man himself is of great human interest, and further, that his work had, and still has, great appeal. But I think Perl is engaged in trying to institute recognition of achievement far beyond that particular low-hanging fruit. His claim is nothing less than “The Conquest of Time”, as the book announces but doesn’t quite explain, positioning Calder as a true radical in the history of sculpture and one of modernism’s most important innovators. Neither by Calder’s historical context, nor by the content of the work, am I much convinced by that assertion, and such an argument only adds a little more to the general deflation I feel about the achievements of late modernism. Perl is not known for bowing to the popular gods of modern art, but he goes all the way with Calder. Would he indeed! What a coincidence! The really big event in Calder’s early career was a visit to Mondrian’s Paris studio, in October of 1930, which stopped him in his tracks and converted him pretty much overnight into an abstract artist. Mondrian was 58 years old, about half way through his nineteen or so years in Paris, and heavily into his most austere phase of geometric “Compositions”, with a studio decorated accordingly. Prior to this, we are told, Calder had little interest or “feel” for abstract art. But, with this encounter, he picked up on it straight away, and by the very next year was showing sculptures with simple wire-formed spatial geometry and black, white and primary-coloured solids, in an exhibition at Galerie Percier, Paris – his first “abstract” works. Unfortunately it’s not the sort of thing that interests me much, other than as a whacky anecdote. This is to be unduly negative about Perl’s book, which is in many ways an exemplary piece of story-telling. The thing is, I’m really more critical of Calder than Perl, because sculptural critique is the place where I’m coming from, and I do rather suspect Perl is not absolutely on the case about abstract sculpture. Perhaps he should be, to make such big claims for Calder’s work, though most people won’t worry about it. As it is now, so it was back then: art of the highest order acts (often inadvertently, but no less pointedly) in part as an analytical critique of the accepted norms of contemporary taste, and not as a co-opter of them. In the first half of the 20th century (but continuing even now, when modern design has become almost insufferably smug about its own ubiquitous achievements) art needed to convey something altogether coarser and truer than Calder’s vision encompassed, with a better balance of intellectual, emotional and aesthetic punch. This was delivered, to some degree, by the early workings of the Abstract Expressionists, whose quest for an abstract art of significance drove their work to genuinely new painterly intentions – until it went in some cases too far down the road of top-heavy subject-matter. By contrast, Calder’s vision remained profoundly superficial, and even his friendships with Duchamp and Miro failed to give it an intellectual edge. It is, from first to last, very much of an exercise in fun aesthetics, and remains firmly within the limits of popular taste, even as it explored the fringes of the avant garde – if that’s not an historical contradiction. It certainly isn’t any longer. The root difficulty, it seems to me, is Calder’s love of, and immersion in, drawing. Perl doesn’t even try to extricate him, because Perl loves the drawing too. It is, after all, good drawing! The early wire portraits are clever. But the ever-present limitations of flatness in the non-figurative work are not addressed by Calder, or for that matter, by Perl. Those typical Calder mobile shapes might well be moving around, spiralling, doing whatever they do, but they remain resolutely shapes in isolation, and could only hope to gain a semblance of coherence by remaining in the two-dimensional world of “designed” ideas. A synthesis of three-dimensionality per se is not approachable this way. Calder the abstract artist deals almost exclusively with flat shape, the occasional sphere, and the linearity of wire. If your main tools in developing sculptures are shape and line, then you are inevitably going to err towards flatness, even with the refined physicality in material handling that Calder had at his disposal. And when Calder has to bring spatiality into the equation, it comprises of the movement of flat planes in an orbit (when they are hanging), or the intersection of flat planes as a means to make flat shapes stand up (when they are not hanging). He is far from alone in respect of this failing – you can level a similar kind of criticism at a lot of work by David Smith and Anthony Caro, including some of the latter’s best sixties stuff, which has either a frontal or an architectural nature to the space(s) it proposes. And of course you could apply that criticism to a thousand and one other designers of supposedly “abstract” sculpture, wherein the literalness of actual space is never transcended. Therein would be a true conquest of space, and, to a degree, time. The latter is always a factor in a non-passive and responsive way of looking at any sculpture that is properly three-dimensional. Designed abstract sculpture is something of a contradiction; and flat abstract sculpture is an abnegation of potential. If taste changes, Calder might be caught out of favour, with only the slenderest of reasons for retaining our engagement: on a “tightrope”, perhaps. If he’s as important as Perl makes out, where is the follow-on to his mobiles, aside from in the playroom? Where is the “Calderist” school of moving sculpture? 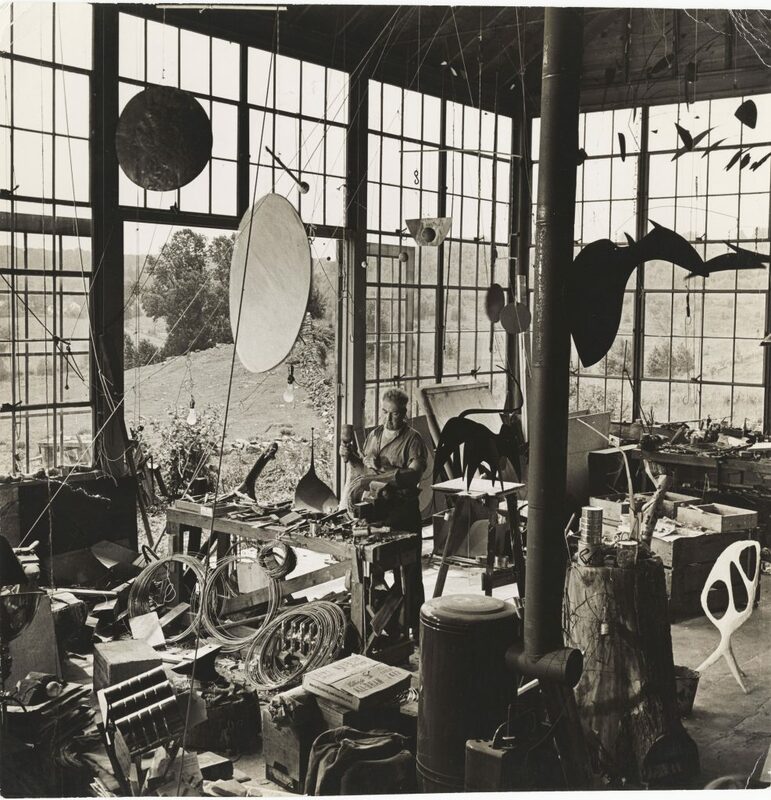 Calder in his Roxbury studio. A read of this essay by Updike will reinforce some of your ideas about Perl. Updike calls him a “fiercely fluid word spinner” but later on critiques his sloppy use of ideas like empiricism and existentialism. Probably there could have been a deeper treatment of Ouspensky and Calder which would have been fruitful in getting to the essence of Calder’s work but applying ideas to art is not one of Perl’s strengths. In any case I think this is a great essay. I might join the legions of writers trying to hoist Calder into the empyrean of great sculptors but I would probably end up coming to the same conclusions as you did. Well, substitute Calder for Pollock and “hanging” for “dripping” and you more or less have a critique that would apply rather better to the former than the latter. And “a fine-tuned, rather small lyric gift” would be a pretty good fit for Calder. Judging from the biog., Perl cannot see Calder all that objectively, and I think it is perhaps down to what is possibly unfamiliar territory – sculpture. Updike’s review is also interesting on Perl’s view of Johns and Rauschenberg. I saw the Johns show ( see John Bunker’s review here on the previous post) at the RA here in London yesterday (prior to my second visit to the excellent Matisse exhibition) and was struck by how talentless and boring a painter he was/is, compared to Rauschenberg, who did similar things but with an eye for what worked and kept the painting alive. I think I ought to add, after all this, that I like Perl, and I consider him as a writer on art very much on the side of the angels. Being critical of his opinion here implies engagement, not dismissal. For the same reason, I think the book on Calder should have been less of a hagiography. Here’s another thought: In the reading of Perl’s book and the writing of this review, and indeed in the attendance at one of the Perl/Rower PR book-signing events, I just couldn’t avoid the sniff of big money at work. And that’s OK, and I hope Perl does well out of it, but what we need out of all this is a truer critical assessment of Calder’s due worth – to art, not to money. If Perl’s book serves to obscure that aim more than it serves it, then let it be damned. The jury is out on that, and we should perhaps wait for part two, where one might hope for a more overarching and deeper analysis of Calder’s context and content in relation to other modernist sculptors and the developing issues in abstract sculpture. I’m not holding my breath. 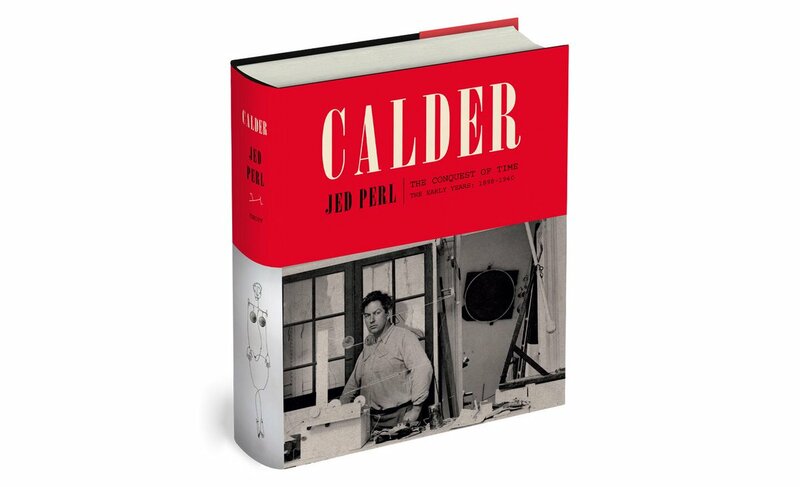 Great to see this quick take on Jed Perl’s Calder biography here, Robin. You seem to want to take Calder and Perl “on board,” but you just can’t. It’s fun to watch you struggle. As I read your review, I kept thinking of Alan Gouk’s admonition to be who you are, not who you wish to be. I don’t know Calder’s work well. I’m like you: too “serious” to be able to accept it without reservations. But I have friends who’ve dragged me to lots of Calder shows over the years. It seems to me Calder’s a guy who was who he was. I’m looking forward to reading Perl’s book with Alan’s admonition in mind. It’s no easy trick to be who you are. In the course of the conversation at the Whitney Perl talked about the “moment” Calder made his first abstract sculptures—how the “moment” wasn’t one moment, but the culmination of a bunch of moments: it wasn’t just visiting Mondrian’s studio; the onset of The Depression was a factor too. The Ouspensky business reminds me of Kandinsky’s Concerning the Spiritual in Art, of how important a spiritual dimension was to early 20th century abstract art. It reminds me of Hilde Skilton’s paintings too. Calder seems to have been a very special kind of “lightweight.” Maybe there’s something “lightweight” about all Americans. Muhammad Ali—a heavyweight, but an American heavyweight—talked about floating like a butterfly, stinging like a bee. Just one more thing: you noticed Calder made some hanging sculptures. You, of course, have been hanging some of your recent sculptures from the ceiling. Of course, you’re Robin: you’ve also kind of denied that they’re hanging from the ceiling. At least you’ve said that it’s not important that they’re hanging. Thing is: your recent work is a kind of “review” of Calder’s work (if not of Perl’s biography)—and Calder’s work kind of “reviews” yours and Tony Smart’s and—and what about a show??? Jock, I think you are right about one thing – Calder was indeed a guy who just was who he was, and his art is thus defined by his limitations. He proves the inadequacy of Alan’s aphorism. I thought we had agreed on that previously? But my review was not in haste – I’ve had a proof copy of this book for months and I’ve been thinking about Calder a little, on and off, since last year’s Tate show. It’s probably not quite fair in an art-historical kind of way (but then I’m not an art historian) to crit Calder from the point of view of where we are now in abstract sculpture, but it’s all I can do and it’s all I’m really interested in – what has Calder got to offer now? What can he tell us, if anything, about how to think about our recent discovery of a whole new kind (level?) of three-dimensionality? This I don’t understand: ” Are you saying the only way to bring space into the equation is to model figures in clay?”. Why would I say that? I think I have explained the limitations of Calder’s sculpture, spatially, pretty well in the review. I don’t remember agreeing about the inadequacy of Alan’s aphorism. I think it’s a great aphorism. It can be “developed” of course. Artists change/grow WITH their work AND their experience/their lives. The Calder of the Roaring Twenties is different from the Calder of The Depression—different/“bigger” AND still Calder with all his “limitations:” a man’s got to know his limitations, as Clint Eastwood/Dirty Harry once said. Your review is terrific: full of interesting, carefully considered thoughts. Maybe more important: you seem to be trying to understand a kind of “instinctive”/incompletely understood attraction to Calder along with all your reservations: that kind of contradictory impulse keeps the review interesting. 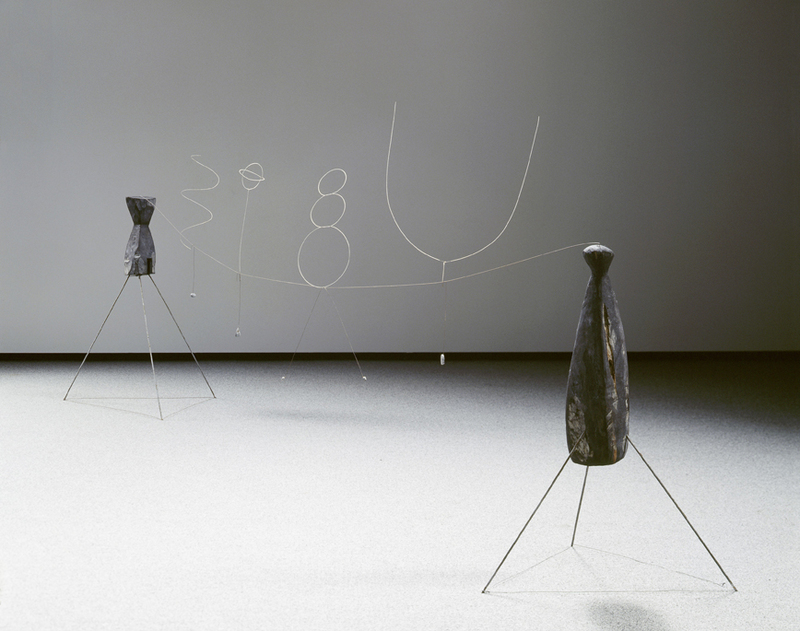 You’re right: you did at least begin to talk about what I might call “plastic” weaknesses in Calder’s work. I wish you could have gone on about this at greater length—but it’s not easy writing about this stuff—and Calder’s work is very hard to get hold of: apparently he made 23,000 things. AND you do, in effect, go on about it in your own work. Your own work is the best “review”/critique of Calder’s—but there’s a place for Perl’s biography. Maybe a very important place today. I came across this sentence in Georg Lukacs’s essay “Writer and Critic” the other day: “The only passage to life from literature is through the gates, all too narrow, of psychological biographies of individual writers.” Life and literature, life and sculpture—are they related today? Pete Hoida brought in the word “absolute” talking about your work—maybe the work of all the Brancaster sculptors—recently. “Absolute” suggests a very distant relationship to life. Alan’s aphorism, something less distant. As I’ve said, I’m looking forward to reading Perl’s biography. . .